The Lumin8 Two Door Quadrant Shower Enclosure creates a contemporary look with its bright silver framing, ‘minimal’ low profile seals, clear thick toughened 8mm thick glass and stands beautifully at a height of 1950mm. 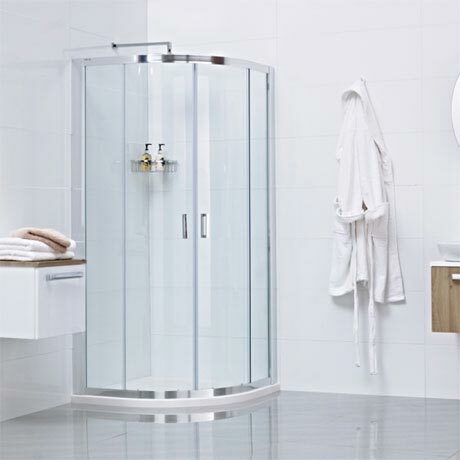 Quadrants are a key shower enclosure design for the bathroom as they sit discreetly in the corner of the room and offer a spacious showering area. Covered by a lifetime guarantee from Roman Showers on registration.